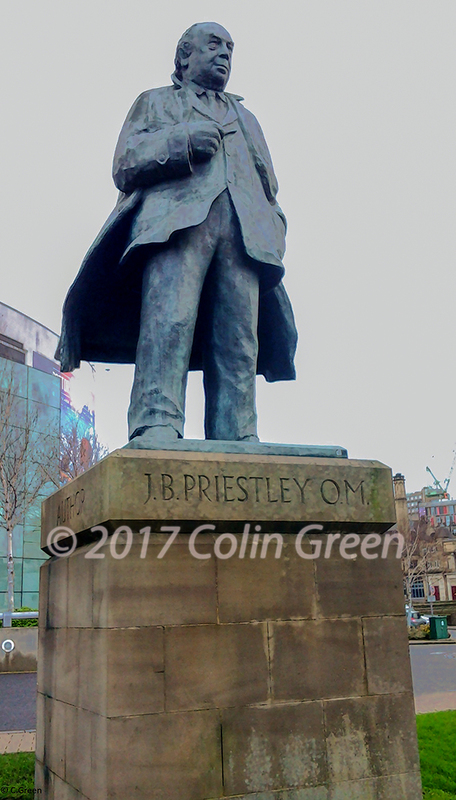 The statue of John Boynton Priestley stands proudly outside the National Media Museum, Bradford as a tribute to one of the cities favourite sons. 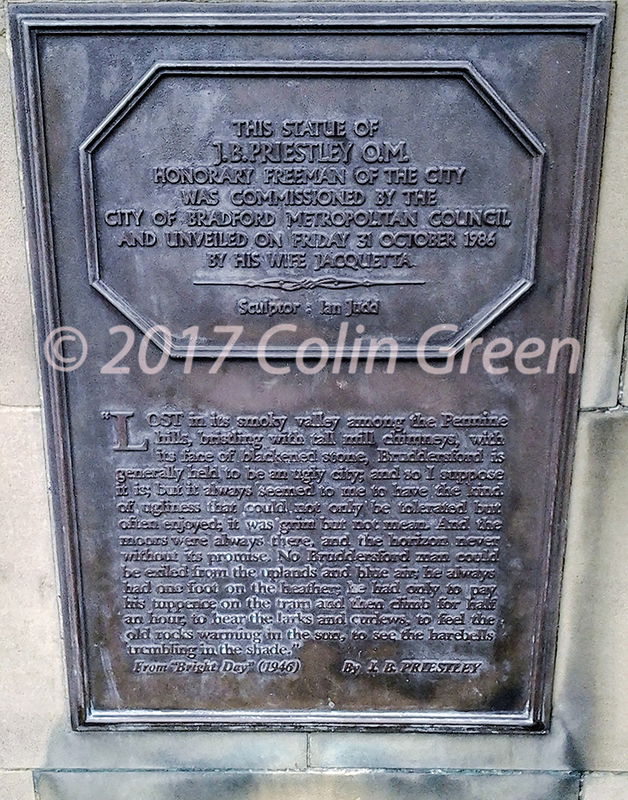 Unveiled in 1986 by his wife Jacquetta Hawkes, the bronze statue features a plaque on the granite plinth with a quotation from his novel Bright Day. J.B. Priestley was a novelist, scriptwriter, playwright and social commentator born in Mannigham a suburb of Bradford, West Yorkshire on the 13th September 1894. Some of his most famous works were An Inspector Calls, Laburnum Grove, and Jenny Villiers. He was still working in his 70's and died aged 89 on the 14th August 1984. These 2 pictures were taken in December 2013 using a Samsung Galaxy Tablet. To View them best quality and resolution without watermarks click the link underneath each, where you will also be able to download a copy for free if you wish. Click here to view best quality and download for free on Clickasnap. Please take a few seconds to view the pictures, as I wrote earlier each view helps support my blog and photography. They can all be seen full size and best quality on Clickasnap and even purchased ir liked enough.